Urban food gardens are popping up all over the world, and with good cause: as food prices continue to rise and the very real issues of GMO contamination become more apparent, many people are realizing how important it is to be self-sufficient as far as food production is concerned. 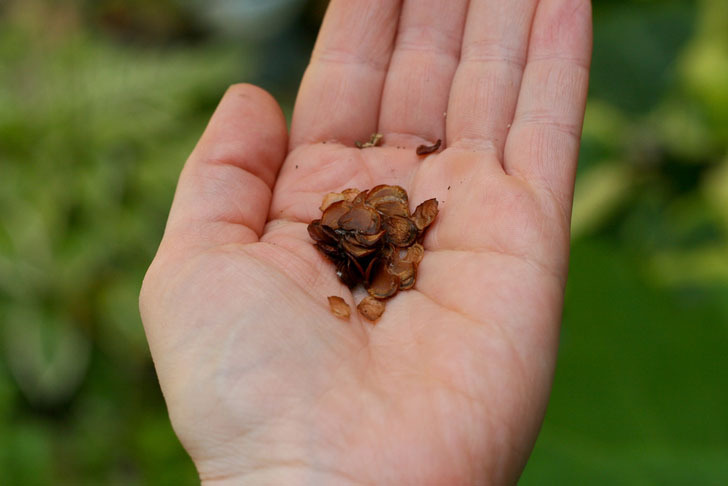 As this is the time of year when people are ordering seeds in preparation for this summer's garden, it's the perfect opportunity to set up a seed bank to share with your friends, family, and even your community. Ask around to see which local friends are also planning to put together a garden this year, and suggest that you purchase your seeds together. This is a great way to keep the cost of seeds down, while still ensuring that heirloom varieties stay intact. Consider that an average packet of heirloom, organic tomato seeds may cost $3.50, and contains 35 seeds. If 5 friends get together to buy that packet, each person puts in $0.70, and gets 7 seeds to grow. Since not all seeds are viable and there’s always a “failure to thrive” rate with them, it’s usually a good idea to buy double that amount, but you get the idea—if each seed germinates and grows into a full plant, that’s still 7 tomato plants per person, with an ideal yield of a 20 lb yield per plant, that’s a fair bit of food for a 70-cent investment. Determine what kinds of plants the group of you would be interested in cultivating so you can share the different varieties between group members. Let each person buy one type of vegetable seed (i.e. one buys peppers, one gets tomatoes, another buys zucchini), and then the seeds are split up and shared. If members want certain varieties for their own gardens that others don’t want, they can buy them for themselves, but try to put in the order all at once to save on shipping costs. If you want to maintain the heirloom seeds from plants that you’re growing, then don’t grow several different varieties in your garden: tomatoes, peppers, beets, squash, brassicas (like broccoli) and many other plants can cross-pollinate, and you’ll end up with hybrid seeds. 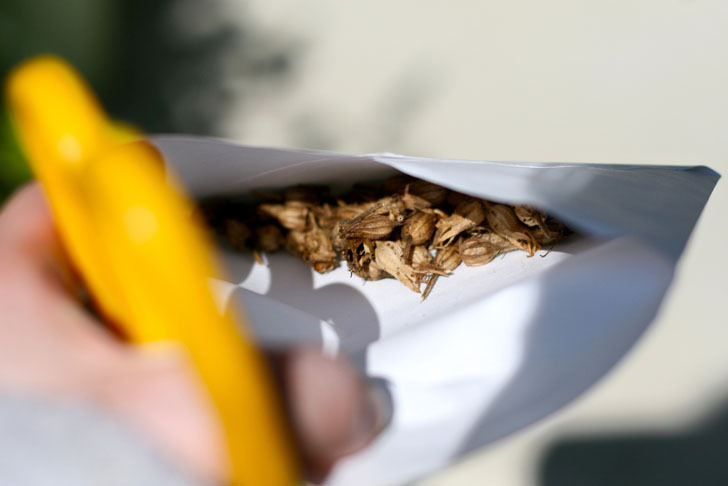 Even though the rate of cross-pollination is quite low—less than 5percent for some species—you might wish to err on the side of caution if you really want pure seeds. If all you’re interested in is great-tasting vegetables, then you can grow whatever you like and not think twice about the possibility of hybridization. What date did you plant them? Were they planted in potting soil? Coir? Did you start them in damp paper first? Did they receive natural light or a heat lamp? How many days did it take for the seeds to sprout? Of X number planted, how many sprouted? Did any die off? Or were they all strong, healthy, and viable? When were they transferred outdoors? What type of soil were they transferred into? Were they placed in pots? Raised garden beds? Right into the native earth? Hugelkultur piles? When did the seedlings flower? When was your first harvest? What was the flavor like? Was the item better raw or cooked? These are just a few examples of the type of information you should record about your plants. 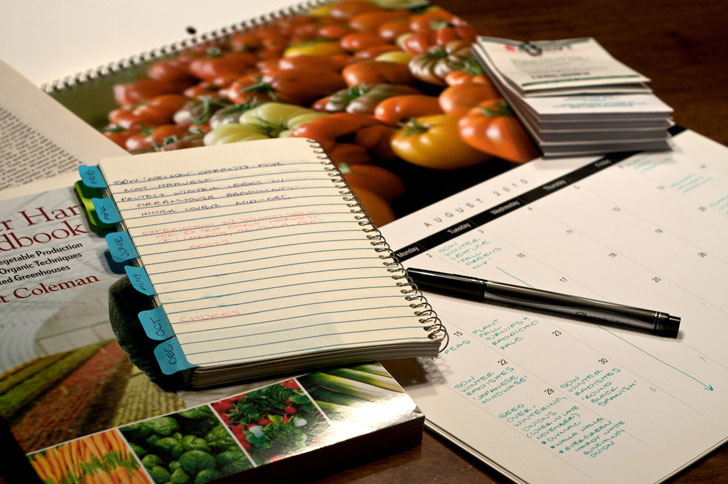 The more detailed you are in your notes, the better prepared you are to share info with your seed-sharing group, and the better-informed you’ll all be for the next year’s planting. If you’re all using the same seeds and one person’s plants thrive while another founders, you’ll be able to go over your notes to determine why. 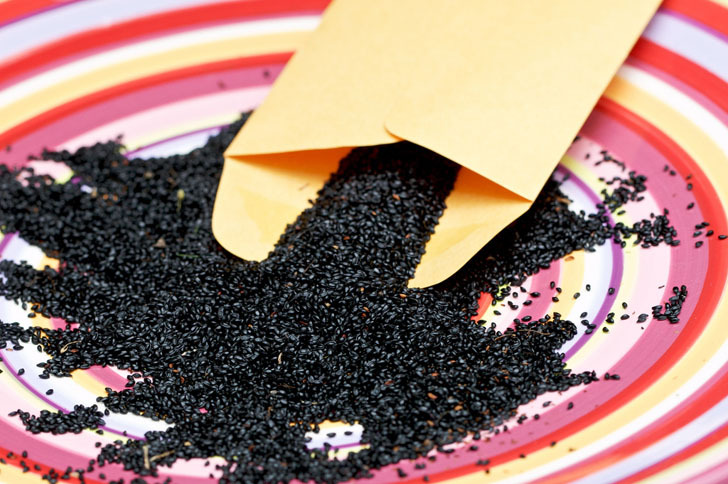 Depending on what you’ve decided to grow in your garden, chances are you won’t have to wait until the autumn to start harvesting your own seeds. Herbs like basil and dill can produce seed fairly early, and you can save the pips from fruits and veggies such as strawberries, tomatoes, peppers, and beans as they become harvest-ready throughout the warmer months. Do a bit of research on the best way to harvest and preserve the seeds from the plants you’ve grown, and be sure to label them clearly. 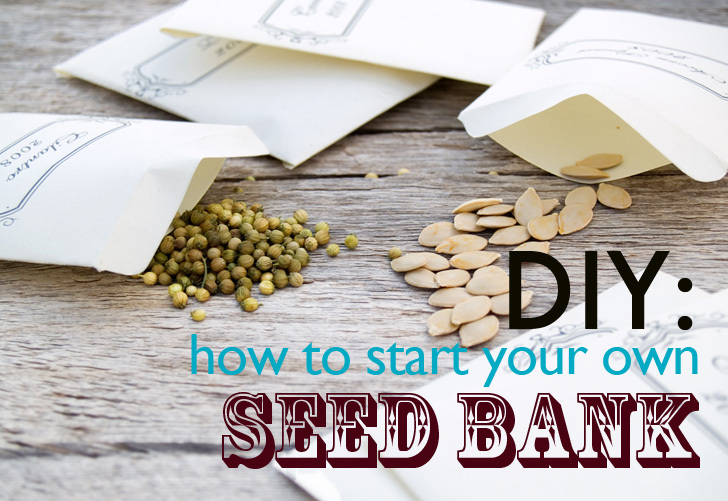 Be sure to communicate regularly with the other members of your seed bank group, even if it’s just via email. It’s a great idea to create a shared database (like a spreadsheet on Google Drive or similar) so you can all update one another with info about your successes and difficulties, and to also keep a log of who’s growing what. If you can meet in person, even better! You can go so far as to trade items you’ve grown throughout the warmer months, and compare the quality/size/etc. of a particular variety as grown in a few different gardens. If, at the end of the harvest season, you feel that you’ve enjoyed the seed sharing/saving process and would like to extend the scope of your group, consider getting your community involved. You might begin on your own street—chatting with neighbours you’ve never had the chance to speak to, and organizing a seed-swapping party—or perhaps you’ll just want to keep the trading among close friends, even if you’re not in the same geographic area. The seed bank I share with my friends spans 3 provinces, and not only do we mail seeds to one another, we keep detailed notes in a shared database. Sharing your seed bank with your immediate community really is a great idea, and if you have the opportunity and the willingness to do so, it can be remarkably rewarding. It’s lovely to get to know different people in one’s neighbourhood, and there are few sights as beautiful as seeing small children pluck tomatoes from community gardens, or watching elders teach their gardening tips and tricks to younger generations. Maintaining seed diversity and preserving organic seeds really is of vital importance to food security, and if we can both encourage and enable the fabulous people around us to use (and share!) organic produce, everyone benefits. Consider that an average packet of heirloom, organic tomato seeds may cost $3.50, and contains 35 seeds. If 5 friends get together to buy that packet, each person puts in $0.70, and gets 7 seeds to grow. Since not all seeds are viable and there's always a "failure to thrive" rate with them, it's usually a good idea to buy double that amount, but you get the idea—if each seed germinates and grows into a full plant, that's still 7 tomato plants per person, with an ideal yield of a 20 lb yield per plant, that's a fair bit of food for a 70-cent investment. Determine what kinds of plants the group of you would be interested in cultivating so you can share the different varieties between group members. Let each person buy one type of vegetable seed (i.e. one buys peppers, one gets tomatoes, another buys zucchini), and then the seeds are split up and shared. If you want to maintain the heirloom seeds from plants that you're growing, then don't grow several different varieties in your garden: tomatoes, peppers, beets, squash, brassicas (like broccoli) and many other plants can cross-pollinate, and you'll end up with hybrid seeds. Depending on what you've decided to grow in your garden, chances are you won't have to wait until the autumn to start harvesting your own seeds. Do a bit of research on the best way to harvest and preserve the seeds from the plants you've grown, and be sure to label them clearly.